This is the kind of girl she is, crazy and weird. While speaking, her expression changes constantly, and her ideas jump, at one point offering her viewpoint on star signs, at other times earnestly pouring her heart out about a musician she loves. Born in Sanya, Hainan, the singer who is affectionately called ‘pixie’ by fans has lived with nature at large since young, and refers to her hometown as very ‘passionate’. This point is reflected in her compositions, just like her hit song “Wild child” which she sang on the stage of a Chinese reality show; without the restrictions and trappings of society, one is instead able to sing even more freely. Speaking with her about her motivations for composing, Su Su shyly admits that it was because of love. “I loved a boy secretly for almost four yearly, actually at the end I didn’t really want to confess to him or be with him, it was just that I was almost graduating, so I wanted to record this feeling and sang it into a song.” She continued, saying that her lyrics and melody occur to her at the same time, patting out the rhythm and singing it over, she would then give it to her trusted band so they could all discuss what instruments would best fit it. 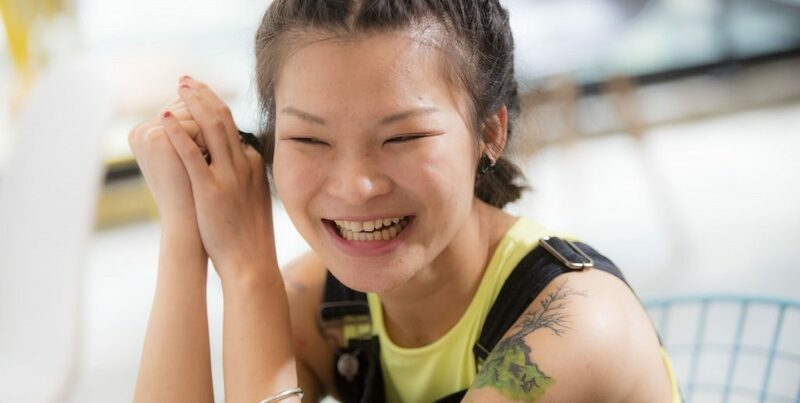 Out of all of them, the keyboard is the sound she loves the best, so this was the first instrument she learned when she studied Contemporary Music in Biejing. “I want to be together with the Keyboard forever, until I become old.” Speaking of the piano, Su Su’s folder of conversation topics has been opened, and she begins to explain the curiousness of fate. “Now the two keyboardists that I have worked with for a long time are ones that I met at a music festival. One is called Linzi, is a very cool Leo guy, he originally was playing Reggae music, and is also a rapper. The other one is A-Zhu , he is the same age as me but is a Scorpio that looks like a good homebody guy. Once I start wanting to get to know the keyboard better, I will start wanting to analyse their star signs.” But what she didn’t expect was at the end even the person who recorded her album was also a keyboardist. For Susu, “Scented Dreams” was the piece of work which had a most surprising arrangement. “I could just die listening to this arrangement, because my demo just had a guitar, at the time I wanted to express a more light and easygoing musical atmosphere, but when I heard it for the first time even in my heart I wanted to scold dirty words (laughs), but after listening the second time, I felt: ‘Oh my~ I want to marry Teacher Huang!’”. She especially loved Huang Shao-Yong (Ma-te Lin band’s musician)’s different sound effects used, which layered and gave the song more of a visual imagery. Using a resolute tone she said: “I really like collaborating and communicating with other people, every person has different ideas, logic, and putting them together will allow them to become even more exciting,” allowing her to through interactions and different perspectives to get up close to the image of life, honest yet real. “Since the last time I covered it, my fans still tell me to sing Mayday’s “Fulfilled” (Laughs hard).” From debuting as the runner-up of “China’s Best Songs”’s round-robin challenge, and speaking of the influence of these experiences, she names her inner attitudes as her biggest change so far without hesitation. “Previously I was more used to simple arrangements while I sang, just a keyboard and a guitar, but the size of the instrumental parade for the two shows was so big it could scare people…” She speaks of “Coconut” as an example. From the beginning of the competition she would wear earphones to capture just the melody, allowing the ears to keep a pure, fertile ground, but it was not until “I am singer” where she got used to it, and was more willing to accept other sounds. “For example with commercial performances one is unable to take their band, now only am I more used to singing with a Karaoke track, although there is no feeling of being able to sing as the music goes, and it makes me unhappy, but after officially debuting there are a lot of things I need to learn to overcome.” Facing different performance formats and environments, she has dug deeper to see the different possibilities of the stage, trying to allow her music to be expressed across varied senses. “Deep Brightness”’s core belief is “everything will continue, why not continue to persevere”. This is a sentence that Susu uses in many situations. 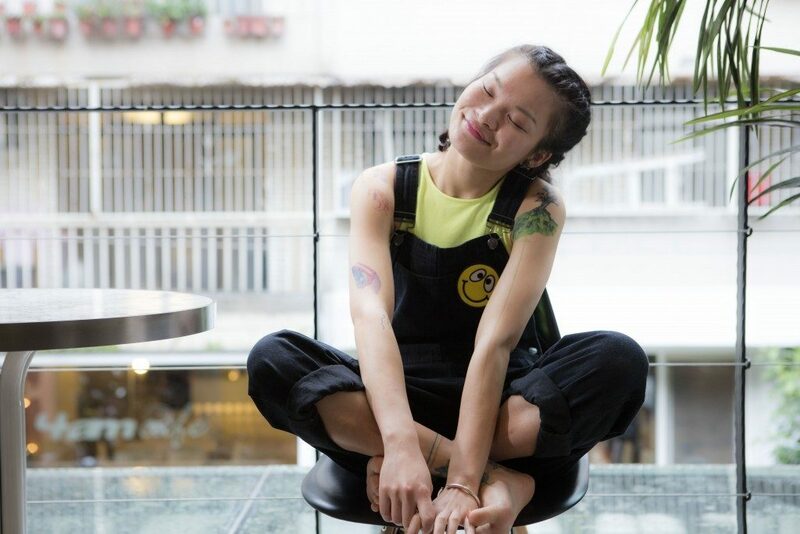 After releasing her album, Susu’s brain is still full of many ideas spinning inside. “Because every type of music is just a way of expressing a lifestyle. The genres I like are varied, it’s not just about Rap, Jazz or Reggae, even musical theatre music I really like. At the moment I want to try everything.”, she said with excitement. Looking into her clear eyes, I can understand the reason why people love her. Pixies who come to the city yet are still able to maintain an innocent heart are the most valuable kinds of kindness.